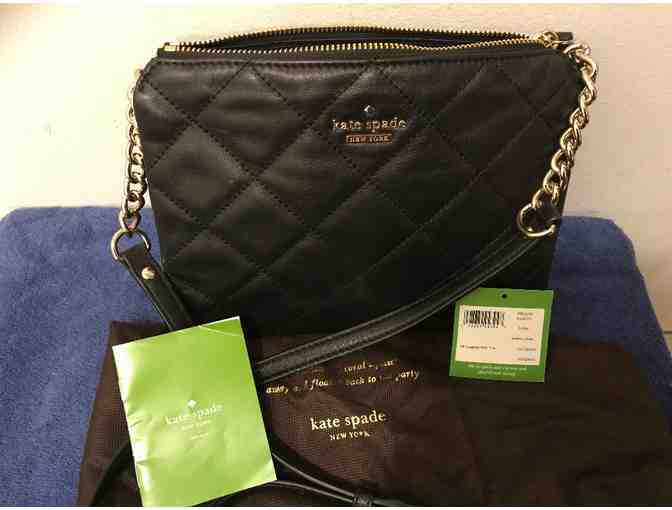 Kate Spade Leather Bag - New! 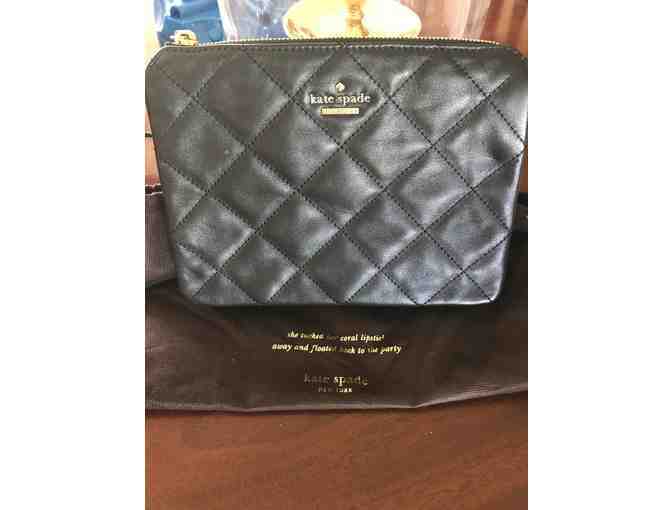 Black quilted leather cross-body Kate Spade handbag. Beautiful lining with one zippered pouch and one open pouch. In excellent condition and the dust cover is included. The dimensions are 8 inches high by 10 inches long and 2 inches in width. Shoulder strap has an adjustable 24” drop.